Here is the roundup of stories that came out in local publications today, February 5, 2016. LTFRB 7 director Rey Elenar said jeepney fares in Central Visayas may be reduced by as much as P1 starting next week due to the continued drop in fuel prices. The minimum jeepney fare in Central Visayas was reduced to P7 on the recommendation of Elnar last Jan. 9, 2015, however there is a pending petition by former Cebu City Councilor Jun Pe to lower the minimum fare. I think the board may decide on the petition filed by Pe. It could be that the board will grant the P.50 reduction he is asking for, but it is also possible that the reduction would be greater. LTFRB Region 7 director Rey Elnar. Cebu Daily News: LTFRB approves P.50 reduction in minimum fare. 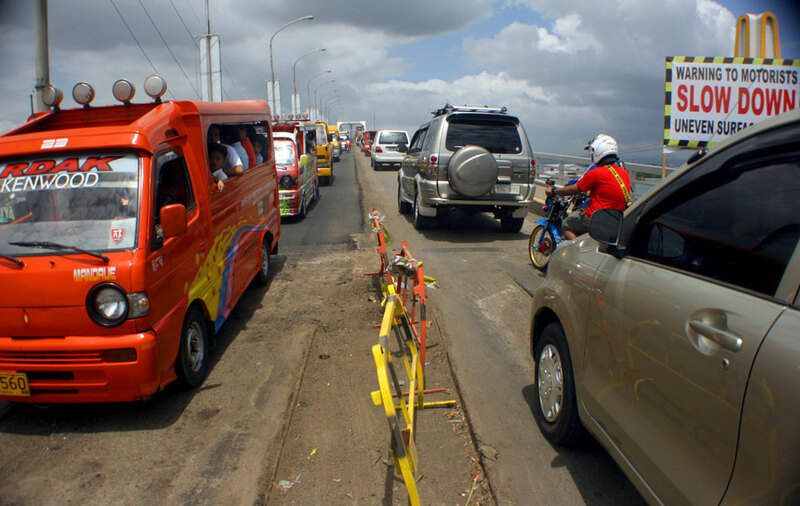 Only motorists heading to Lapu-Lapu City will be able to use the old bridge starting Feb. 8. Those from Lapu-Lapu City who want to go to Mandaue City must pass through the Marcelo B. Fernan Bridge. Mandaue will adopt the new traffic scheme to address the expected congestion once repair of the bridge starts. Aside from the bridge repair, DPWH Mandaue is starting the four-month rehabilitation of A. Soriano Ave.
To minimize traffic congestion on UN Avenue, we can possibly extend the truck ban from 6 a.m to 9 a.m., instead of until 8 a.m. only; and from 6 p.m. to 9 p.m., instead of until 8 p.m. Glenn Antigua, Traffic Enforcement Agency of Mandaue chief for operations. Cebu Daily News: Businessman cries: Cebu experiencing Manila-type traffic. The conflict between the Talisay City Council and city administrator John Yre delos Reyes, who is also the mayor’s son, has taken a turn for the worse with the body declaring him persona non grata. Councilor Aldin Diaz authored a resolution declaring delos Reyes persona non grata because of what he said during his radio program and the move was approved by the majority. All I can say it’s all about politics. And such action is unreasonable and irrelevant. It is a clear abuse of authority. Thus, the action made by the council is unconstitutional and without basis. Talisay City administrator John Yre delos Reyes. Sun.Star Cebu: Council punishes Talisay City mayor’s son for conduct in radio, social media. Cebu Daily News: Mandaue City collects P1.7B, falls short of P2.1B target for 2015.